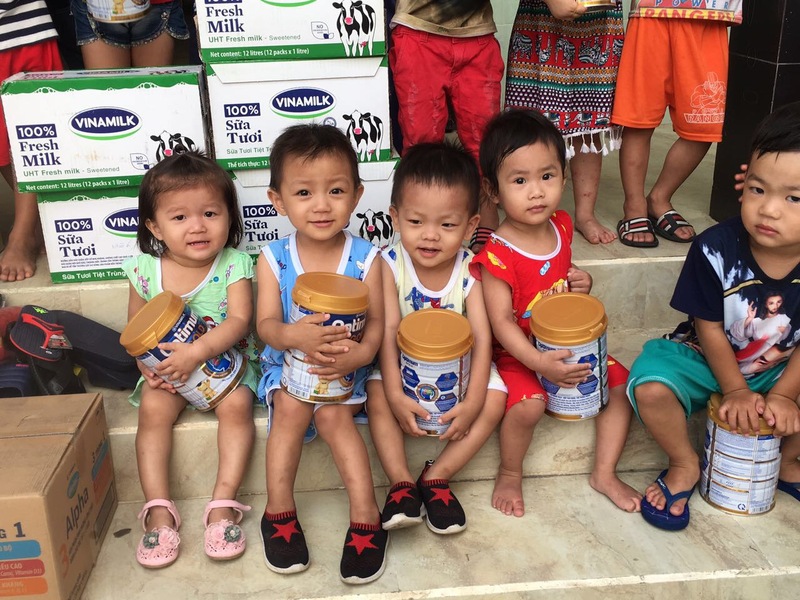 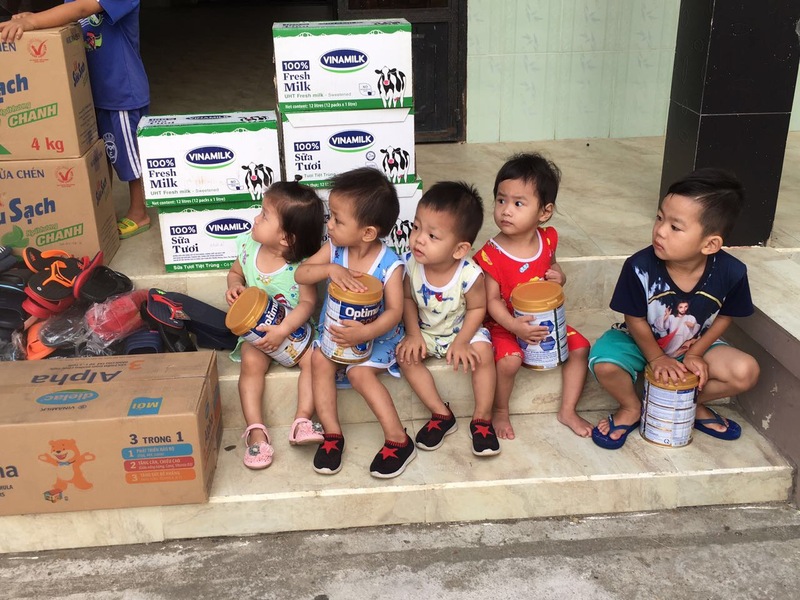 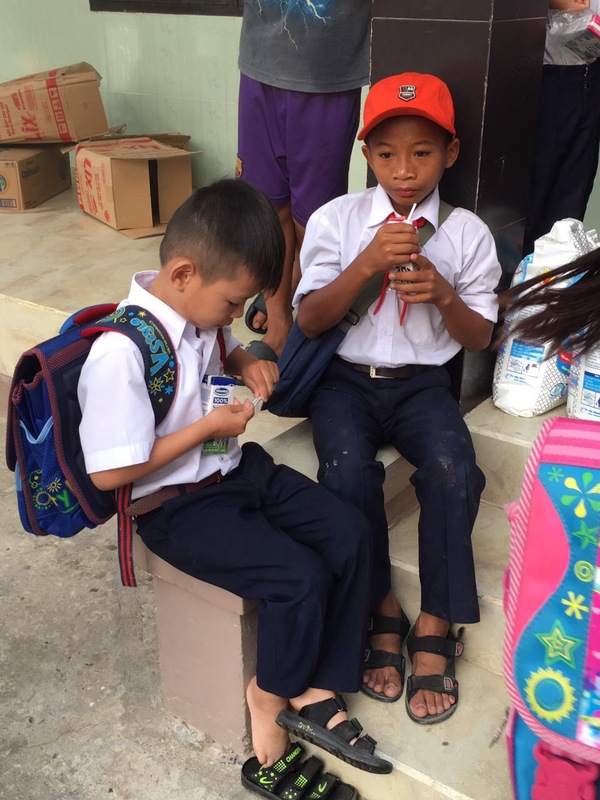 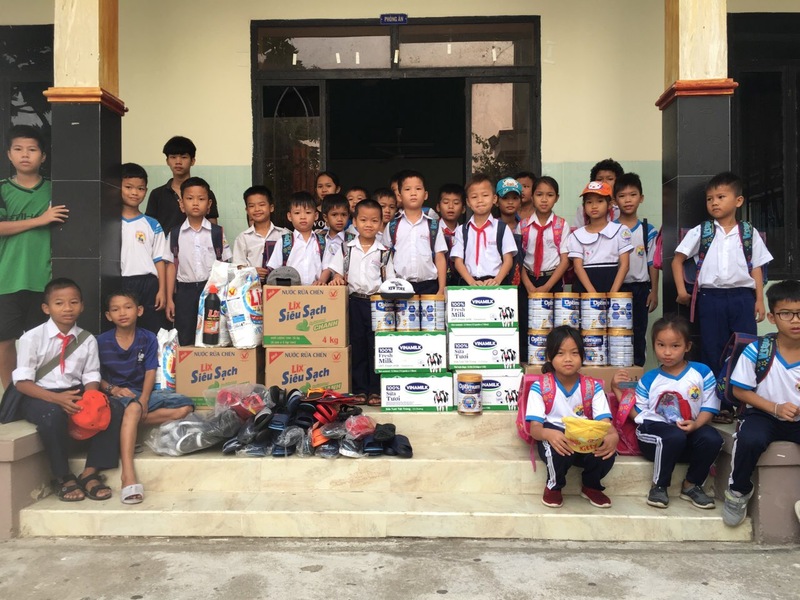 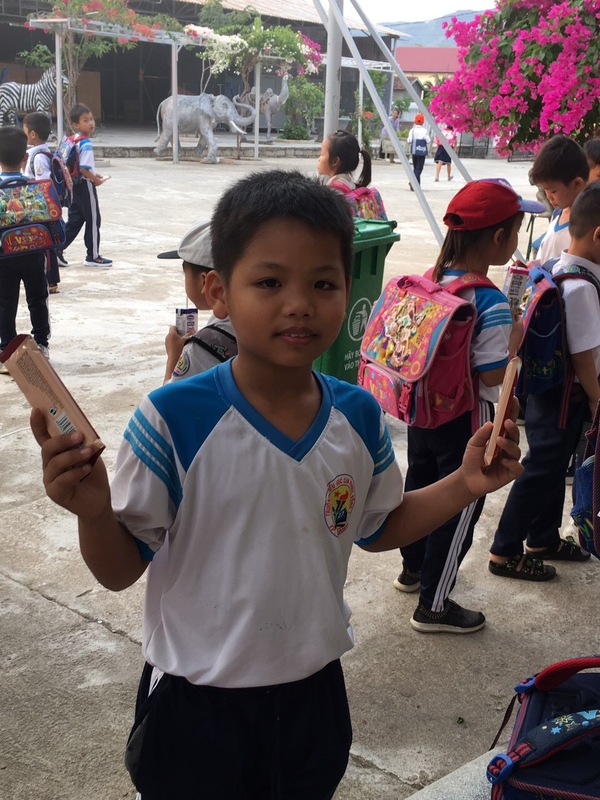 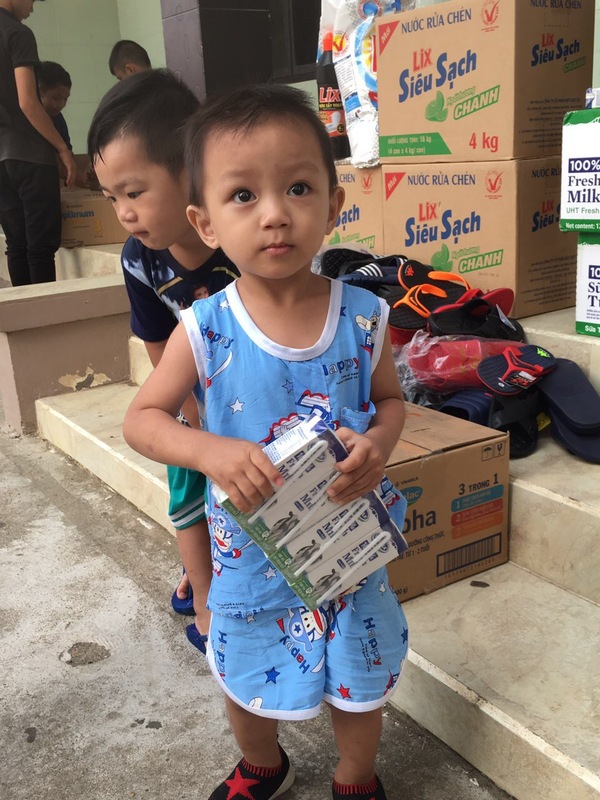 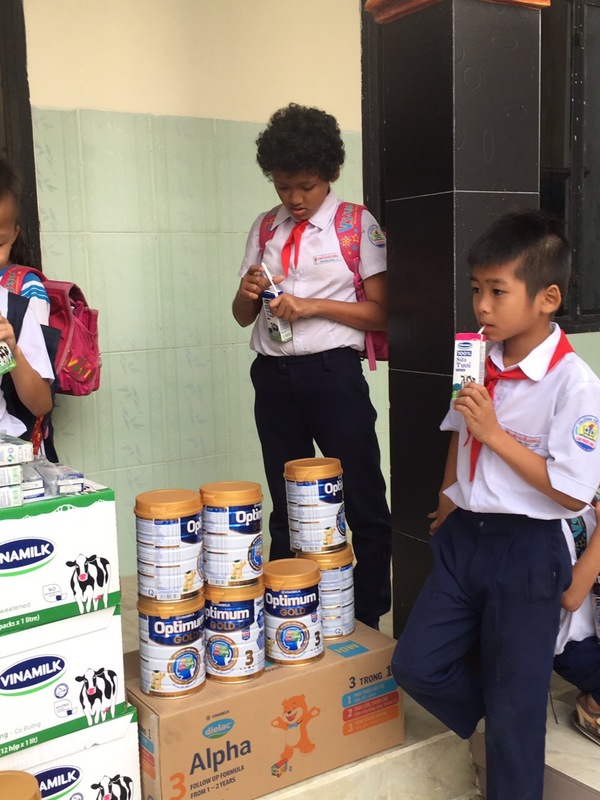 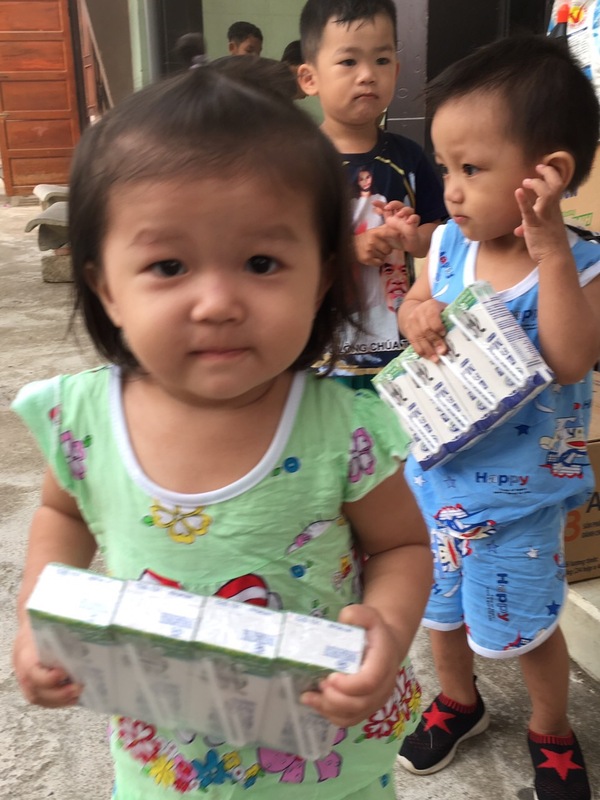 In late March 2019 we visited the Nhan Ai Orphanage with lots of supplies. 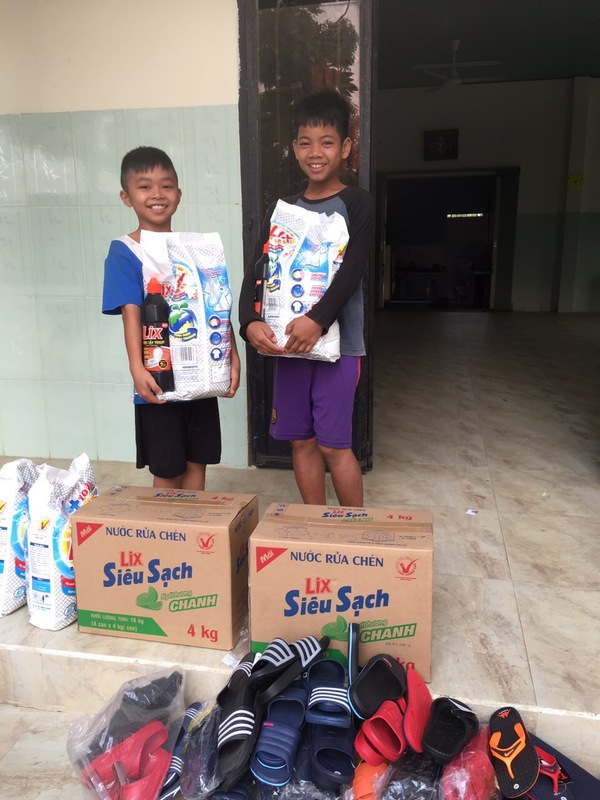 Nhan Ai is a large orphanage in Cam Ranh, to the south of Nha Trang. 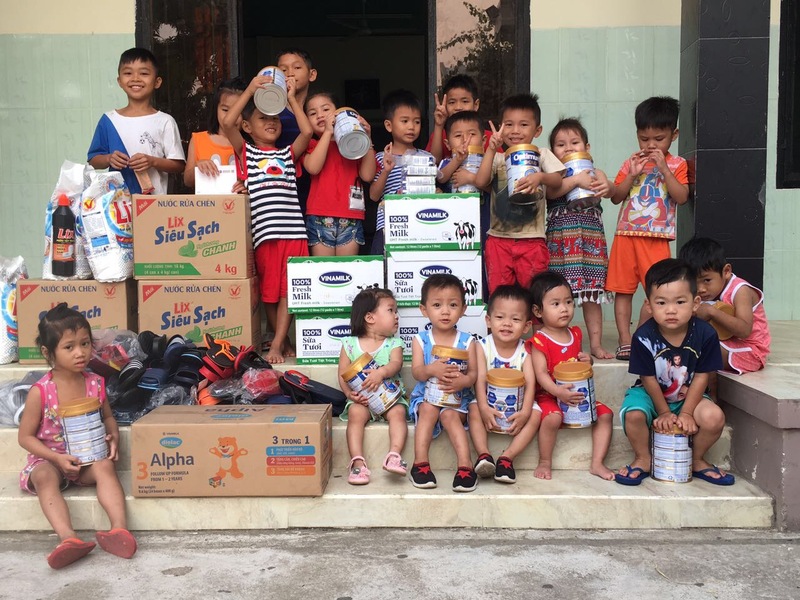 The nuns at Nhan Ai provide a loving and nurturing home to over 120 orphans, from newborns to teenagers. 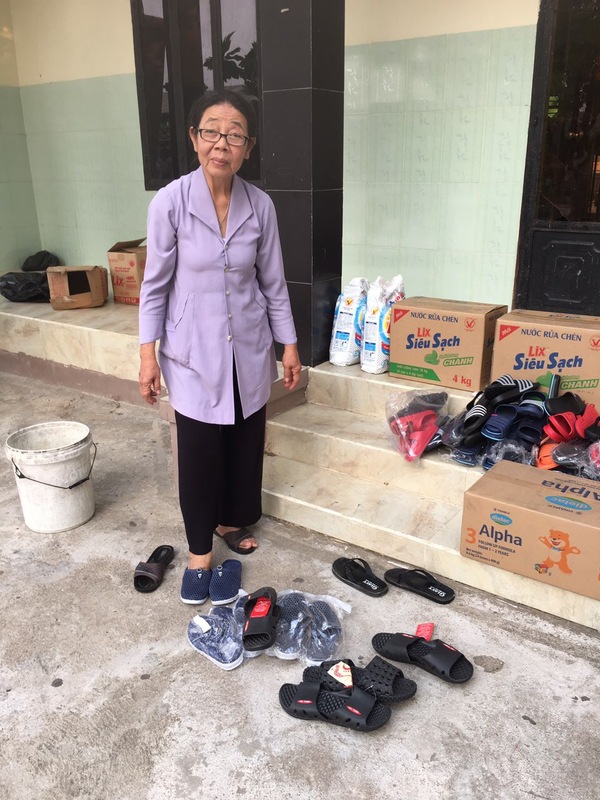 We contacted the nuns to learn of their most pressing needs and organized a trip. 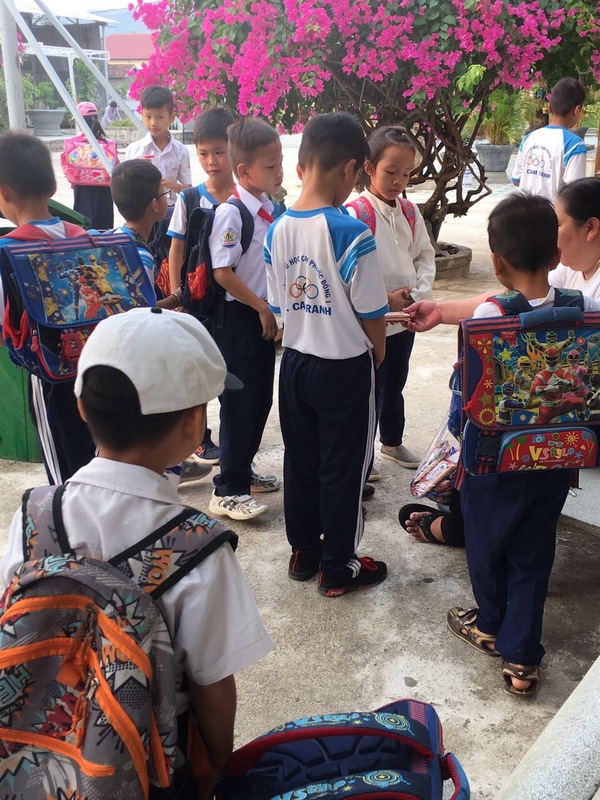 We arrived in the afternoon when the children were just returning from school. 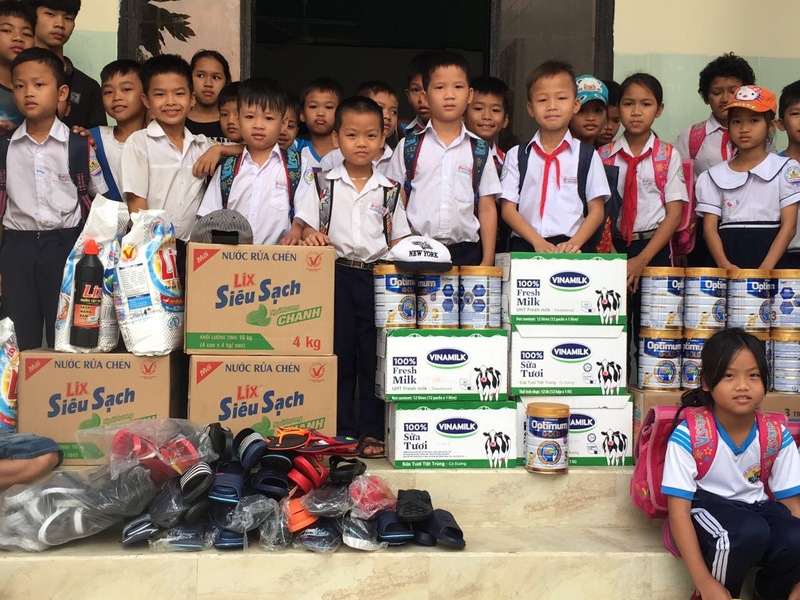 Everyone was still in their school uniforms, and gathered on the steps to help stack the supplies. 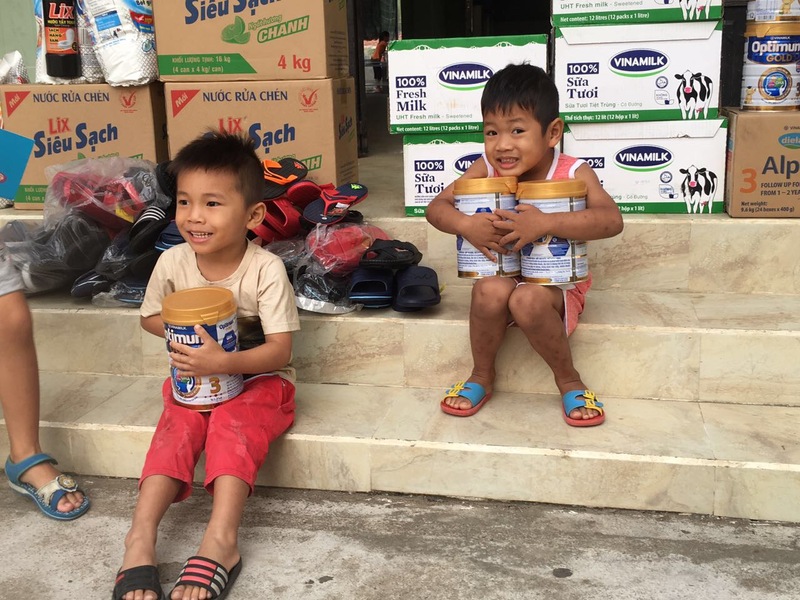 We brought boxes of milk, cans of baby formula, cleaning and laundry supplies, new sandals, and some snacks. 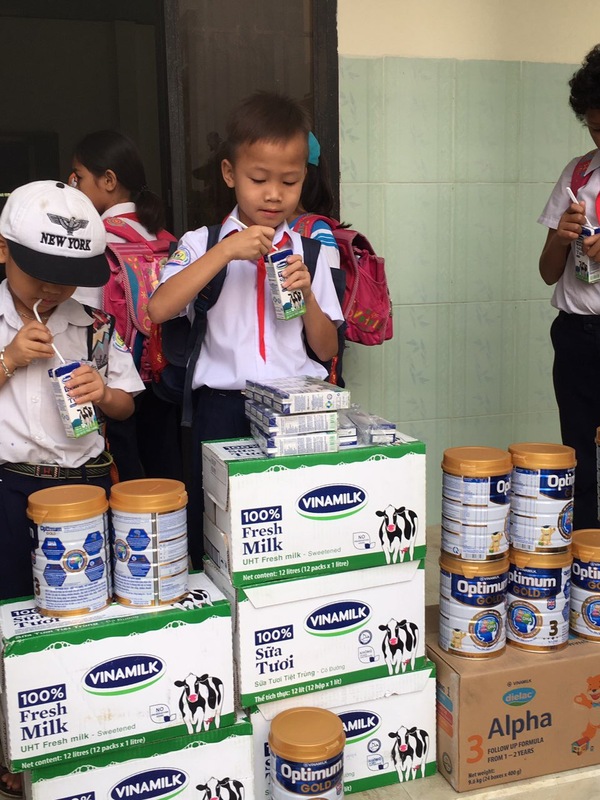 The children were happy to get their snacks, and many went for a milk drink after a long school day. 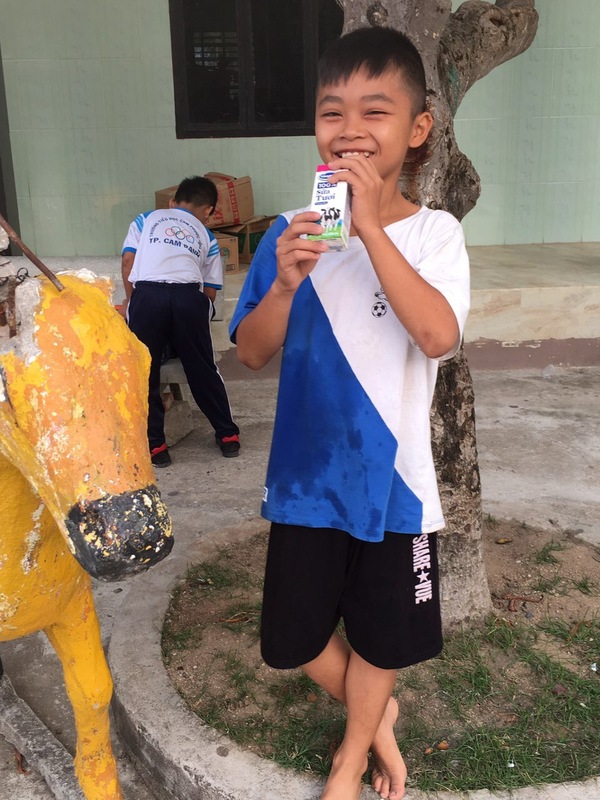 This charity trip was made possible through the kindhearted donation of Betty Lam.